The existing frameworks and methodologies for software designing encompass technological aspects and needs of the urban settings. In software development, getting sufficient and correct requirements from the users is most important, because these requirements will determine the functionality of the system. In indigenous communities identifying the user needs and understanding the local context are always difficult tasks. This typical approach of designing indigenous knowledge management system generates the issues of indigenous knowledge governance, de-contextualisation, and data manipulation. Hence, the main research question this chapter addresses is, How can we introduce indigenous knowledge governance into ICT-based Indigenous Knowledge Management System (IKMS)? The study has been conducted in three phases with collaboration of two indigenous communities, Long Lamai and Bario of Sarawak, East Malaysia. The main outcome of the study is the methodology of conducting a multidisciplinary research and designing the Indigenous Knowledge Governance Framework (IKGF). The framework works as an analytical tool that can help in understanding the essential context in which indigenous knowledge management processes occur. 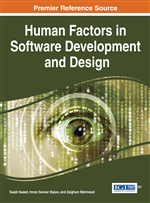 The chapter argues that in order to design appropriate software tools for indigenous knowledge management, information technology professionals need to understand, model, and formalise the holistic indigenous knowledge management system and then use this understanding as a basis for technology design and approaches. Understanding user requirements is a critical step in the development of usable software systems. In conventional software development methodologies, the end-users and beneficiaries of the system are considered well aware, skilled and motivated to adopt the software solutions. Normally, the end-users define its need in an abstract written form to help software engineers in understanding their requirements. But this may not be the case for designing software for rural and indigenous communities. The end-users in these communities may never have used technologies, have less or no skills of information and communication technologies (ICT) and may never thought about having an ICT solution for their problem. Hence, understanding the user requirement in these communities and for indigenous knowledge management systems, which fundamentally differ so far from technology supported systems represent particular challenges. A wide range of digital tools have been developed and cultural heritage institutions are exploring the use of ICTs for preservation and improving access to Indigenous Knowledge (IK). However, ICTs for indigenous knowledge management (IKM) have been designed using the conventional approach of creating and manipulating databases of knowledge (Velden, 2010). Early efforts in IKM focused on developing digital technologies to store, capture, and distribute knowledge (Agrawal, 2002). The focus at present has shifted, however, to make explicit the tacit and implicit knowledge. The current approaches tend to overlook the community’s creative expressions, practices of innovation and instead consider IK to be a static resource frozen in time and place. These typical approaches of IK databases design thus fail to a large extent in serving the needs of indigenous communities, as it tend to alienate IK from the essential context such as social, cultural and governance framework (Velden, 2010; Winschiers-Theophilus, Jensen, & Rodil, 2012). The prime objective of this research is to develop a holistic framework for IKM that projects the ontological structure of the wider social cultural and governance system in which IKM processes occur. The investigation was done in three phases; firstly, we explored the theoretical gaps and the inherent structure of IKMS in communities. Secondly, we addressed the gaps by modelling IKMS in communities and designing a structured indigenous knowledge governance framework. Thirdly, we used the framework to model an existing IKMS and for designing, developing and implementation of ICT-based IKMS. The designed framework helps researchers and ICT professionals to understand the unique structure of IKM and accommodate it in the design and development of ICT-based IKMS. The remainder of this chapter is structured as follows. The first part of the paper presents background of the research field and introduction of the sites and communities where research has been conducted. Second part illustrates the research framework and each phase of the study in detail. The last part, concluding section, presents reflection of the study.